At this month’s Gathering you will be provided with an opportunity to hear and ask questions of our guest presenter from Penrite. We have heard rumours that he will be bring a range of items for those members in attendance. Furthermore, at this month Gathering you will be invited to take a copy of The importance of safe driving. . . Golden Rules and Deadly Sins brochure. 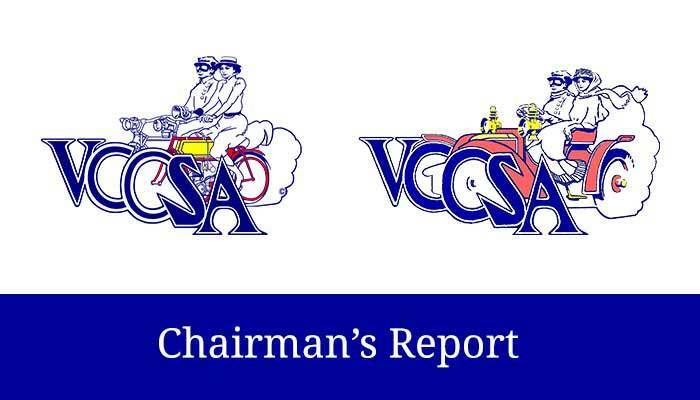 This document has been provided to our members by the Veteran Car Club of Australia (Victoria) as part of their efforts to develop initiatives to foster a culture of road safety awareness when using our veteran vehicles. We welcome David Wright from Victoria (Member of the VCCA) who is participating in his 1911 Fiat Tipo 1 Spider. Whilst talking all things Bay to Birdwood, did you happen to see John and his Gregoire in the Advertiser? Well done, John, this was a great read and gave all veteran vehicles a higher profile in the eyes of the general public. Tim has organise an opportunity for us all to attend a Film night and watch the “Sully” –Based on the downing of US Airways Flight 1549, after the plane hits a flock of geese and is forced to land in the frigid waters of the Hudson River. If you are interested in watching this premiere screening, see details later in the Bulletin. Creepy Crawly Run takes place this month, and based on the past few years, has been a very successful and well attended event with many veterans taking part! If you are thinking about getting your veteran out of the shed after its winter break, this is THE EVENT to take part in. Next month we will be having a special focus on vehicles currently under restoration by some of our members. There is a great deal of interest still in the restoration of veteran vehicles and even greater expertise and knowledge amongst our membership. Your Committee is trying to find ways to shine a light on restoration projects and ways to support projects currently underway. In next month’s Bulletin we would like to share a list of vehicles undergoing restoration. If you would like to share your vehicles details, please let a member of the Committee know so your vehicle can be included. September indicates that membership renewals and the updating of vehicle registration log books should now be completed. Un-financial members, please note that your vehicles are technically disqualified from being driven on the road until your membership is renewed and a new MR334 may also be required to re-activate your registration. See you on the road in your Veteran soon.